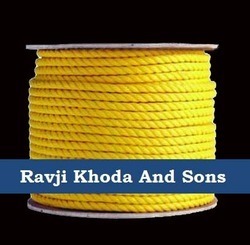 We at S.S.SON CONTROLS( Mumbai ) are among the leading suppliers of Marine Ropes . 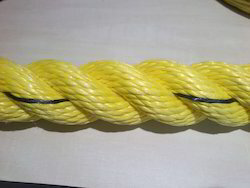 These marine ropes are manufactured out of different materials like Nylon , Polypropylene , Sisal , Manila Etc . Sisal and Manila Rope Hawsers, Cable-laid, Shroud-laid, Plain, Rot-proofed, Tarred. The Titan oil field ropes from Usha Martin are designed to endure ultimate tests of strength & security and overpower turbulent water. Manufactured by state-of-the-art technology, these ropes provide superior strength to weight ratio and enhanced working life. The new technologically superior X2 mooring ropes has about @15-20% lower weight and significantly lower diameter than the conventional synthetic ropes, which enables not only downsizing of the ropes but also easier handling during the extreme environmental conditions making it ideal for mooring operations. We are one of the leading manufacturers and suppliers of a wide range of Marine Line Steel Wire Rope.